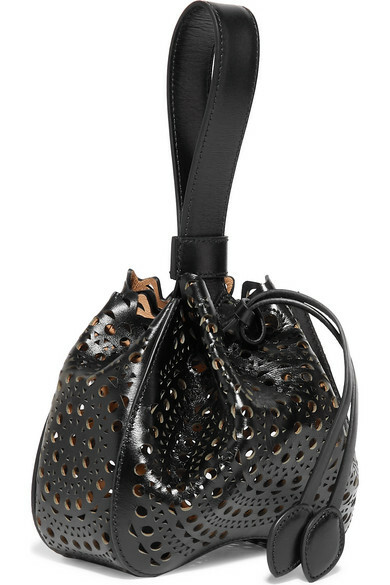 This bucket bag is instantly recognizable as an Alaïa piece thanks to the intricate laser-cut detailing. Made in Italy from leather, it has a lightly wrinkled finish and is sized to easily fit the essentials. Carry it by the bracelet strap to dinner. Shown here with: Alaïa Top, Alaïa Skirt, Alaïa Sandals.